ILOILO CITY – Rental transactions for books and gadgets will soon be more convenient through Qrent, an application developed by students from St. Louis University in Baguio (SLU), and the best startup idea in the recently-concluded 5th Philippine Startup Challenge (PSC5) National Finals of the Department of Information and Communications Technology (DICT). Team Victorem of SLU emerged victorious on Friday, 5 April, 2019 after besting 14 other competitorswith their startup pitch on Qrent, a web-based and mobile platform designed for safe, secure, and convenient rental transactions between renters and item owners. “Our friend needed a camera lens for a shoot, but he didn’t want to buy one. He had a microphone for a DSLR that someone is renting from him. That was the lightbulb moment that helped us come up with developing the Qrent platform,” said Victorem team leader Rammaria Paula Advincula, a 4th year Computer Science major. As PSC5 Champions, Advincula, alongside teammates Kyrsten Kyra Villegas and Joshua John Bantayan, automatically qualify for the 2019 IdeaSpace Bootcamp. The team will also fly to China to become part of Huawei’s Seeds of the Future Program, a two-week college undergraduate study program in enriching ICT-based skills and knowledge. 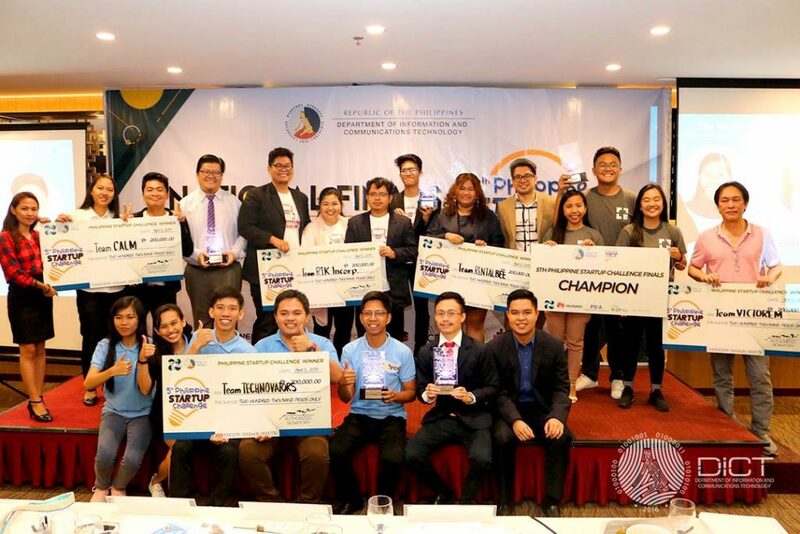 The top five winners each received PhP200,000.00 in prototype development funding from the Department of Science and Technology’s Philippine Council for Industry, Energy, and Emerging Technology Research and Development (DOST-PCIEERD). Far Eastern University, the first Manila-based team to grace the PSC National Finals,was a close second with Rentalbee, an online marketplace app that helps students find safe and quality accommodation near their school or university. The Mathjestic Quest of Team CALM form Davao Central College andWestern Mindanao State University’s Team RTK Incorporated’s Retrack claimed third and fourth spot respectively. The Team TechnoVators’ BFree ofthe University of Science and Technology of Southern Philippines rounded up the top five. “Compared to the previous PSCs, the ideas and quality of pitching has improved. This is perhaps the most exciting and the best iteration of the PSC so far,” said DICT ICT Industry Development Bureau (IIDB) Director Emmy Lou Delfin. Director Delfin added that there are plans to add more partners for the program for startup funding and mentorship purposes. The DICT is also eyeing a version of PSC for senior high school students to further promote entrepreneurship and startup business among the youth.